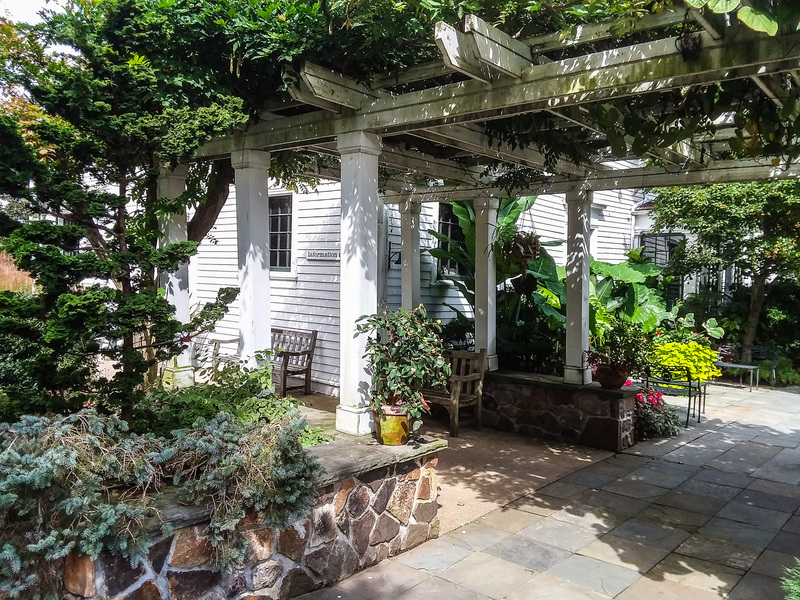 The Home Garden Club of Morristown, NJ was founded in 1925 and, since then, has recorded a history rich in community activity and service. 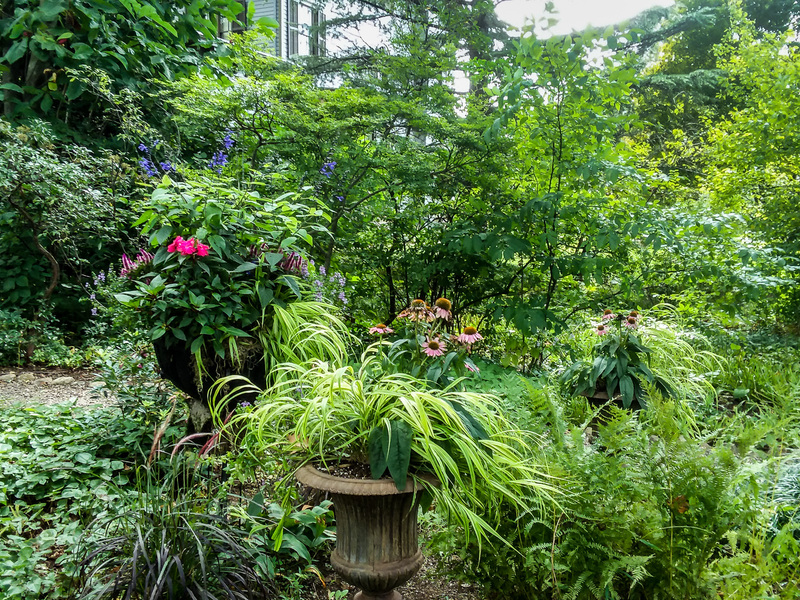 The Club's purpose is to encourage the study of horticulture, to create and maintain civic beauty and to practice responsible conservation. 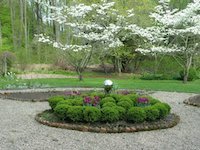 The Club has been a charter member of The Garden Club of NJ (check their new website) since 1926 and is also a member of The National Council of State Garden Clubs. 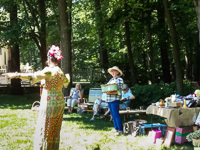 It is affiliated with The Friends of Frelinghuysen Arboretum and The Morris County Historical Society. Aside from its involvement with many civic projects such as the design and maintenance of the gardens at Acorn Hall (seen on the right), the Club also holds monthly meetings which include an educational program, workshop or tour on garden or related subjects. 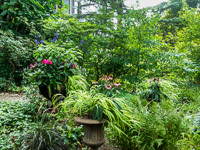 The Home Garden Club of Morristown meets on the third Wednesday of each month, excluding January and August, at Frelinghuysen Arboretum. At 1:00 pm, the club hosts an educational speaker. 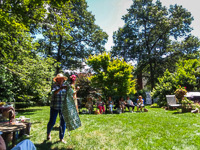 Click our ‘Calendar,’ to view the program schedule. 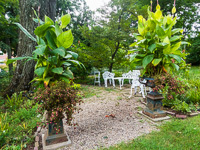 We welcome garden enthusiasts to attend. If you are interested in joining the club, please click on the "Join" tab at the top of the page for more information. 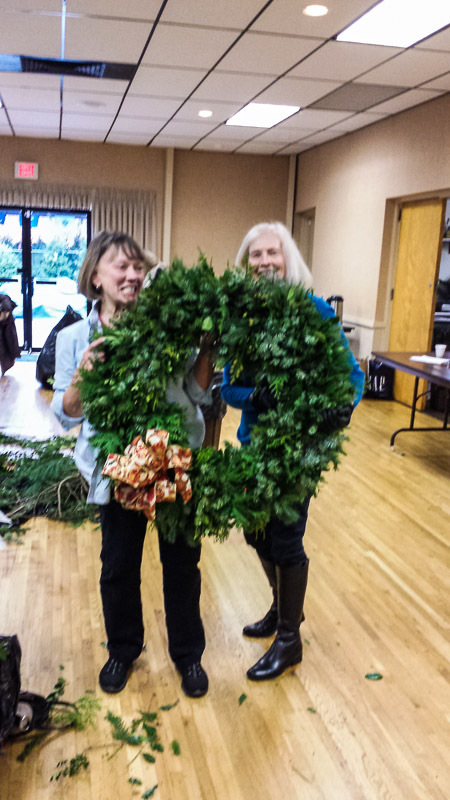 We had a great time at our annual wreathmaking. Click on the photos to see larger versions. 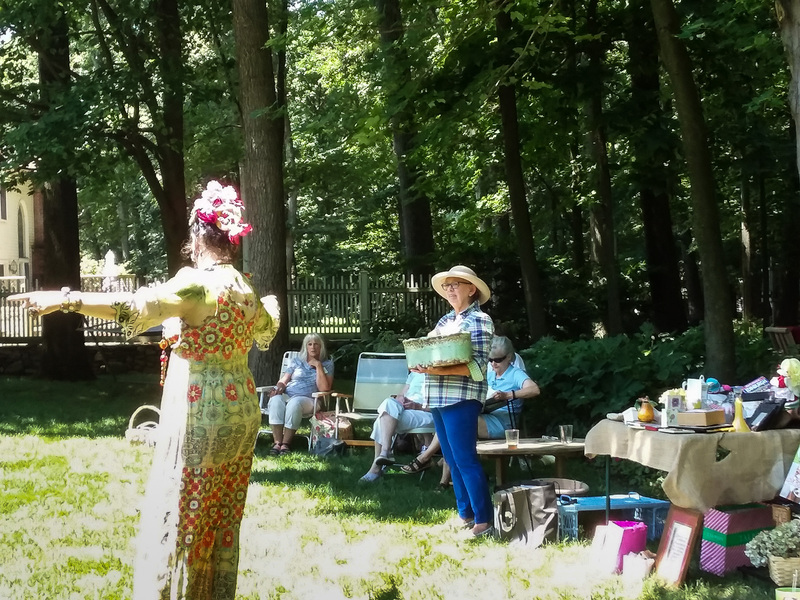 Members enjoyed the beautiful summer weather, while bidding for unwanted treasures at Lily Day. 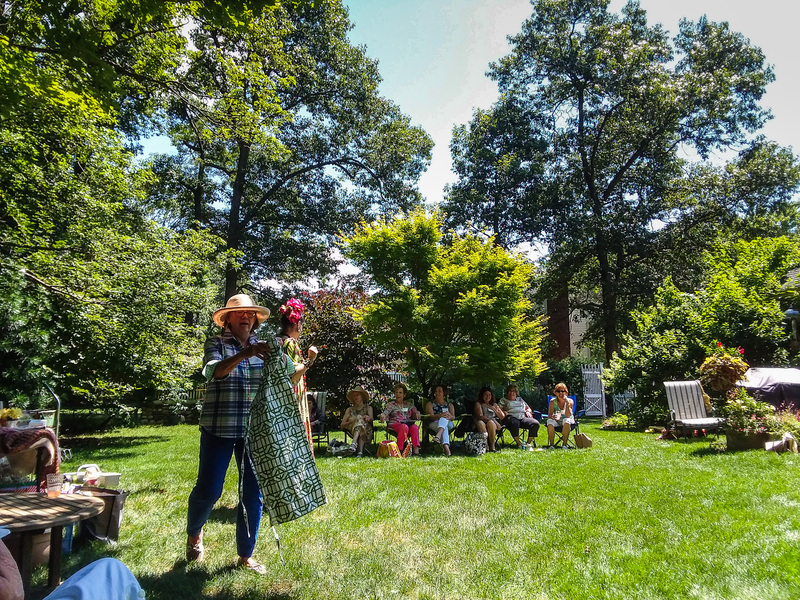 Linda Pastorino and president, Pam Venanzi lead the auction, for a morning of fun, hosted by Helene Havers. Click on the pictures to enlarge. 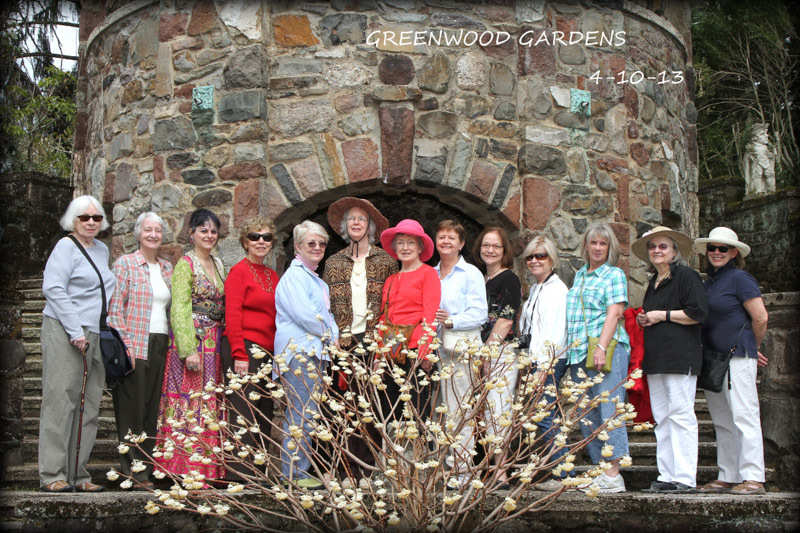 The Club toured the beautiful Greenwood Gardens in Millburn, NJ this past April. We had a great time wandering this gorgeous estate. 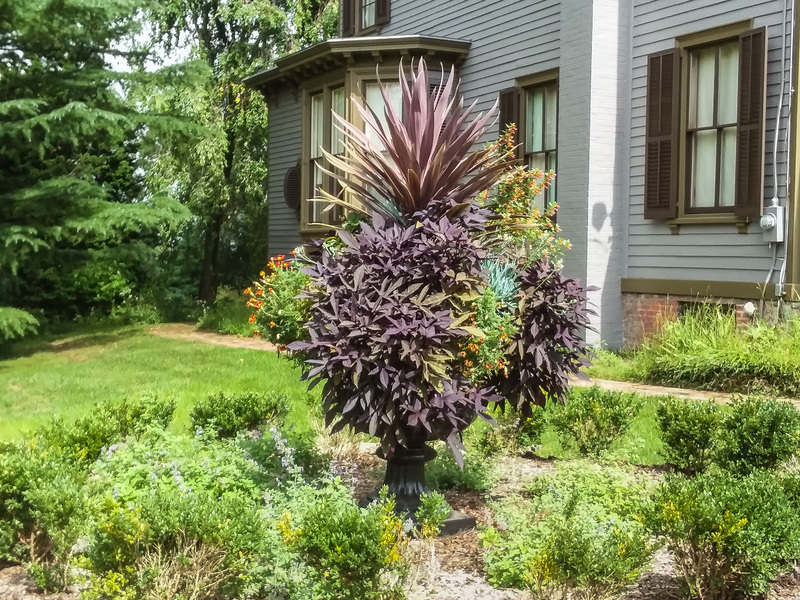 Acorn Hall, an 1850's Victorian mansion, nestled in historic Morristown, has been the main service project for the Home Garden Club of Morristown for more than forty years. 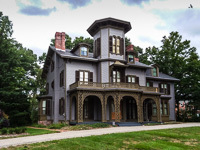 The club was asked to be in charge of the 5.8 acre property in 1971 when the mansion was turned over to the Morris County Historical Society. The original design created by Alice Koller in 1971, was enhanced by Ruth Palace, an associate resident member, in 1996 by adding what members know as the boxwood knot garden. 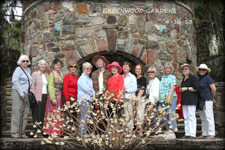 Since 1971 the Home Garden Club of Morristown has been planning, designing and maintaining the gardens at Acorn Hall. Recently, the club has been focusing their efforts on designing and maintaining the urns that surround the property as seen in these recent pictures, below. Click here for additional history of the Club's involvement with Acorn Hall. 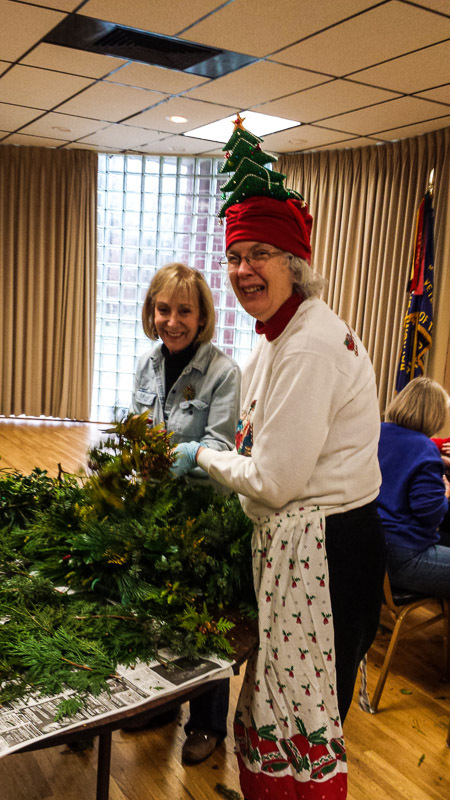 A holiday tradition since 1930, Club members meet in late November for a festive wreath-making workshop. 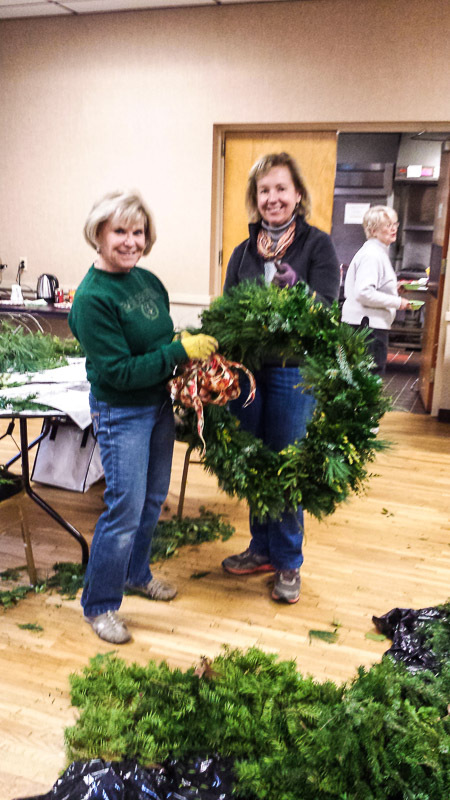 Beautiful Club-made wreaths of unusual greens from Frelinghuysen Arboretum, Watnong Nursery and Club members grace various historic houses and civic buildings in Morristown, including the front door of Washington's Headquarters. 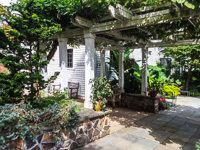 This Garden Club of NJ Garden Service Program also began in 1930. Flower arrangements are made and distributed to patients at the hospital, as well as for the day room and Chapel. Many years ago, members chose to contribute to the holiday festivities of needy children in lieu of exchanging gifts among themselves. This very successful annual campaign accumulates enough funds to purchase many beautiful gifts that are then distributed by the Division of Youth and Family Services. In recent years the club has targeted its gifts to an age group that is often overlooked during the holidays, teenagers. 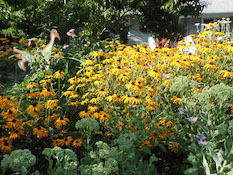 Click the "Gardens" button at the top to see pictures of members' gardens. If you are interested in joining this active and enjoyable group, click on the Join button above to get more information.